Q. What should I do if the barrel or container will not let out water quickly enough? A. Outgoing restricted waterflow is usually caused by the container being too air tight, creating a vacuum affect. Options are: 1) remove the incoming diverter hose allowing air to enter via the hole; or 2) drill a small hole into the barrel next to hose hole (3 mm or 1/8″ should be adequate). Q. Why won’t my barrel / container completely fill? A. On air tight containers, too much back pressure can occur to allow the barrel to fill. To reduce the back pressure, raise the hose closer to the surface. Q. Why is my barrel leaking from the top? A. That’s usually a hose problem; lower the hose deeper into the container. Q. There is a slight noise coming from the Diverter unit. What causes this? A. You probably hear this noice when the containers are full or when the deactivating plug is installed. This is caused by water swirling within the Diverter unit, as it is designed to create a flushing action to keep the unit clean of needles and leaves. Q. Can the Garden Watersaver withstand freezing weather? A. Certainly! Water can only be held in the bottom 2″ (50 mm) of the Diverter, allowing plenty of room for the expansion of freezing water. Q. Will the Garden Watersaver work on round downspouts? A. The diverter unit can be installed and will work on all residential downspouts. On round downspouts, simply reduce the length by 4″ and fit it over the large spout of the diverter. Q. How do we winterize our rain barrel system? A. When using the GWS diverter kit, all you have to do is disconnect the hose and add the plug that came with the kit. Remember to empty the rain barrel and leave the spigot on the barrel open all winter, too. Q. Will the plastic Diverter withstand the cold? A. Yes! Garden Watersaver has not received one complaint of breakage due to freezing. Q. 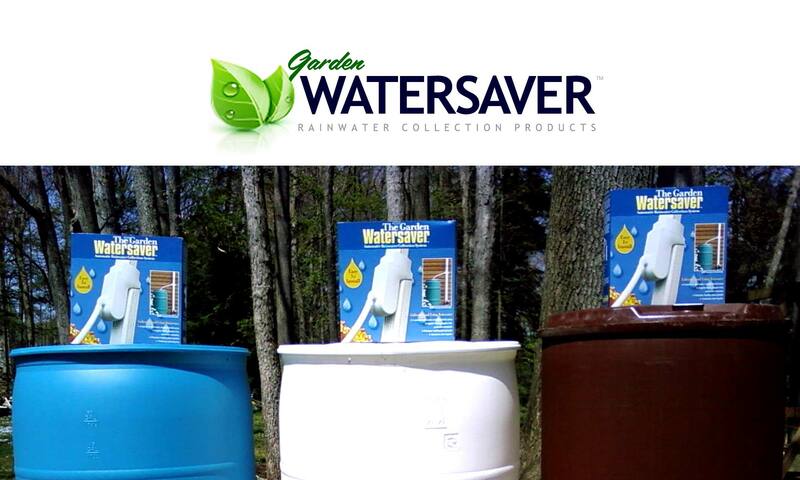 What happens to the Garden Watersaver Diverter due to the sun’s UV rays? A. The enemy of plastic are the UV rays of the sun. You may notice that the diverter looks white on the outside, but looking at the inside it appears blue. The blue color is the UV stabiliser which was added to the polymer mix when the unit is molded. This coating will protect the integrity of the polymer for years and years! Have a question of your own that wasn’t covered? Email us!